3rd Round of WES Business Award Winners Announced! WES is pleased to announce the 36 winners of the 3rd Round of the WES Business Award. The winners are emerging and established women entrepreneurs who benefited from training and coaching at 12 WES Centers for Women’s Business Development across Tunisia. Each winner received seed funds to help her launch or expand her business. Najoua Trabelsi’s dream is to run a French restaurant in downtown Kef since the culture of Tunisia is heavily rooted in French traditions. She is an active, motivated and patient woman. The WES center supported Najoua by providing her with training in Entrepreneurship, Leadership, and Financial Education. The WES award will help her to open her new restaurant. Amira Abid is 32 years old and a graduate in documentation management and archives from the Institute of Science. Amiradecided to launch her own business to gain financial independence. Her business, Café Abidi, provides a space where customers can relax and read newspapers and magazines. The space offers a delightful environment where visitors can meet, chat and relax while enjoying fine food and delicious drinks. Amira participated in the entrepreneurship training organized by Horizons Kef WES Center where she developed her business plan. Amira will use the WES Business Award funds to decorate the space and create a new website. Wafa Messaoudi launched her business in order to become more active in her community. With the support of WES, Wafa prepared her business plan for a Garderie (nursery) during the entrepreneurship training at the Horizons WES Center. She developed this business plan after realizing the increasing demand for childcare in her native region of Kef since many parents need to work. Her business now enables her to interact with people on a regular basis. Garderie les abeilles will offer quality services that seek to deepen children’s understanding of Tunisian cultural traditions. This nursery business will target families who have one parent who is currently employed while the other parent is busy seeking employment. Torkia Ben Mehrez is 33 years old and holds a PhD in Biology. Torkia is launching a business for agricultural products that will focus on transforming butternut squash to jam and juice, and pumpkin seeds to oil. Torkia’s objective in the few next years is to generate 1750TND per day. Fathia will use the WES award to buy raw materials for the next season. Houda Rhibi’s business started with a childhood dream. After growing up with an interest in fashion, Houda studied fashion and design for three years as an adult. Subsequently, she did a training that focused on creating patterns using software. Houda also participated in the entrepreneurship program at the TAMSS WES Center. She launched a new business making and renting women’s dresses. Since launching her business, she moved to a new space, which has greatly increased the number of clients. Several years ago, Mouna Klai started a small home-based business making dresses. She received a small loan from a microfinance NGO in Tunis to expand her business. To enhance her knowledge of business, Mouna contacted the TAMSS WES Center where she received entrepreneurship training from professional coaches. Following the training, she prepared her business plan and changed her marketing and communication strategies. These changes led to impressive results as she was able to increase her revenue and the number of clients. The WES business award will help her to buy new equipment in order to satisfy the increased demands. Hanen’s objective is to launch an educational center for students between the ages of 6 and 18 years old that offers private lessons for students to improve their skills. The center will offer extra services like theater, music and swimming lessons. The award will be used to support the launch of her business. “[This is] the fate of which I dreamed” said Asma Hnid. Her childhood passion guided her to pastry training that lasted one year. During that time, she improved what she was previously taught. Support from her mother also allowed her to realize her dream. She started working in her mom’s workshop producing different kinds of pastry. What makes Asma’s product different is the high quality of raw materials she uses and the after sale services, which include Asma calling her clients to check if they are satisfied with the purchases. Asma will use the award to buy raw materials for her business. Mahjouba Bourguiba received training in entrepreneurship, leadership and financial education from the ADDCI WES Center. As a widow from Zarzis, she needed a way to support herself. She launched her business creating and selling traditional clothes for women. Mahjouba wants to use the WES award to expand her business and reach a higher number of clients. She will rent a new space in the tourist area in order to attract new customers. Nabila Khadi holds a university degree in law. Her father is a farmer. She decided to switch her activities and launch a business producing coffee from dates. Nabila’s idea is innovative as she wants to produce raw materials for the coffee industry. The award will help her to buy packaging. Fatma Ghrissi is a 26-year-old entrepreneur who launched a business to produce fodder from palm trees. Her business will address the problem of a lack of fodder in the region. The business will also help to improve the waste of palm components. Fatma will use the award to gather raw materials. Amel started breeding geese with her mother since she is from a rural area. 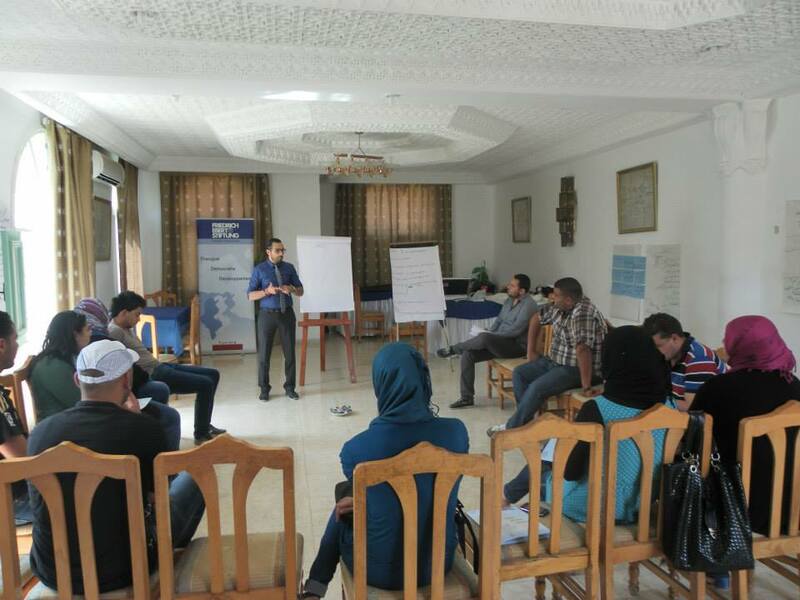 Amel received training in entrepreneurship at the UNFT Kairouan WES Center. She wants to launch her business breeding and commercializing geese in Tunisia. She will use the award to buy geese in the appropriate season to produce eggs. Raida Bouaicha launched her enterprise with limited resources in March 2015. For her business, she prepares butter from dried fruit that will be distributed to small suppliers and supermarkets. She explains that the butter is healthier than regular butter and intended for babies, the elderly and adults. Raida will use the award to procure a product-measuring device and a mixer. Monia Mechim is a young university graduate. She is developing a business for organic compost production through the enhancement of agricultural waste. The enterprise will have a positive environmental impact since it will repurpose waste that could be a source of pollution. Fedia, an ACG WES Center graduate, is launching her new company for home services that will include household cleaning, gardening, security and home assistance. The value added of the activity is the use of new technologies including steam cleaning equipment. The company also offers other services such as the organization of private events. The WES award will be used to procure office equipment and launch a website. Haifa Ben Nasra is a graduate of entrepreneurship and leadership from the ADGS WES Center. She is launching her company to extract gas from palm tree waste. Haifa’s client will be the STEG (Tunisian Company for Gas and Electricity). The WES business award will serve to cover the fees of transportation of the palm waste during the activity startup. Fathia has many years of experience producing artisanal products. Fathia participated in entrepreneurship training at the WES Center in Gafsa in order to learn more about becoming a successful entrepreneur. The WES award will enable her to expand her activities and procure raw materials. Saloua has many years of experience producing handicrafts. Saloua participated in entrepreneurship training at a WES Center in Gafsa in order to learn more about becoming a successful entrepreneur. The WES award will help herbuy materials to expand her products. Wassila Balti is a graduate from the AJD Beja WES Center in entrepreneurship. Wassila has a diploma in IT but she could not find a job. She started her own business several years ago designing different kinds of jewelry for women. The award will assist her to expand her production. Saoussan has a lot of experience producing pastries in Beja. Her products are unique. She wants to launch a training center for pastry making. She will use the award to rent a space for the center and launch a communications campaign. Faten is a mother of two. She runs a business making dresses for her community. She explains that her neighbors like her products a lot. She wants to expand her business and the award will help her to buy a new machine so she can satisfy the increasing demands. Soukayna’s idea is to create a network of women workers and others who are at home. This network will offer jobs for the unemployed women. This is a need for the women in her community and will serve as a good opportunity for exchanging ideas. Soukayna will develop a database of women and jobs and offer services for them. The WES award will enable her to begin implementing her idea. Awatef is a home-based entrepreneur who makes delicious pastries to sell to her community. Recently she participated in training on entrepreneurship organized by the Bizerte WES Center. During the training, Awatef developed her business plan and now has a clear idea about how to better approach her business. Awatef’s goal is to earn 5,000 TND this year and 7,000 TND the following year. To reach this goal, she will use the award funds to procure raw materials and equipment. Aicha Jelassi started her business several years ago at home. She is producing artisanal products for decoration. Her objective is to have a bigger space where she can display her products. The award will be used to rent a space and recruit two women to help her during this summer with the large demand she has for her products. Mejda’s passion allowed her to create her enterprise, ETS – Electronic & Technology Solutions in 2013. She is designing and producing electrical components for buildings. Mejda was interested in the Leadership training in Optima WES Center. After the training, Mejda was able to present the proposals during meetings. The award will help her to launch a communications campaign for her company. Mouna Abid’s is producing decorative household crafts that relate to Tunisian heritage after she learned this trade during her studies. Mouna’s creations are unique and innovative. The WES award will help her to promote her products and print communications. Kalthoum Triki is producing interior decorations. Kalthoum has many problems with the commercialization of her products, so she participated with the Optima WES Center’s entrepreneurship and Social Media trainings. After these trainings, she was able to increase her client base. Kalthoum will use the award to procure raw materials to meet her production demands. Fatma Rhouma is a 40-year-old mother of three who runs a small home-based business making and selling spices. Fatma’s entrepreneurial spirit emerged when she was just 12 years old as she used to help her mother earn money for the family by selling homemade products. Fatma’s dream is to expand her spice business and move to the formal sector, which will allow her to export her products. Manel’s natural artistic abilities have transformed into a growing business. After she decided to take a break from her studies, Manel began taking her hobby of drawing more seriously. She now works as an entrepreneur creating and selling pottery, drawings and paintings. Manel will use the award to expand her business by buying more materials and renovating her workspace. Soumaya Rhoumi, an ambitious and talented 23-year-old, already has five years of experience working in the pastry industry. With this experience, she is ready to launch her own brand of Tunisian pastries. The award will give her the resources she needs to grow her business and sell delicious treats to her nearby communities. Fathia Arfaoui is responsible for a family with three kids. She participated in several trainings in entrepreneurship where she developed her business skills. Fathia had the chance to also participate in many expositions in Tozeur, her native region. She launched her own business producing date jam, a product with high demand in Tunisia and abroad. Fathia will use the award to buy an oven and raw materials. Henda is a 50-year-old woman and a proud graduate from the Tozeur WES center where she received entrepreneurship training. Her dream was to have a quiet life with her family. 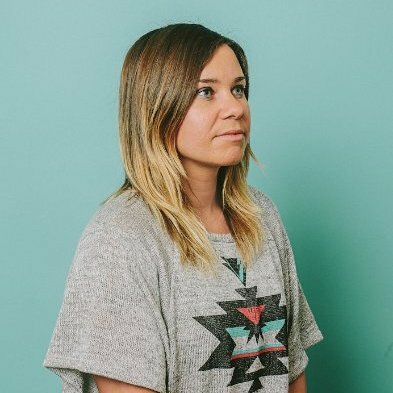 In 2015, her life changed when she decided to launch her own business. First, she participated in several trainings and then developed her business plan with the support of the WES center. Henda produces different products using the Cyperus Laevigatus plant, a local plant. She will use the award money to procure a big quantity of raw materials since this plant is available only during the summer months. At the young age of 18, Arij Omrane is already a role model in her community as a businesswoman. She left school at the age of 11 to help her mother make pastries at home. Arij came to the Tozeur WES center where she found herself supported by the trainers. She learned through the different WES modules how to launch her own formal business selling pastries. 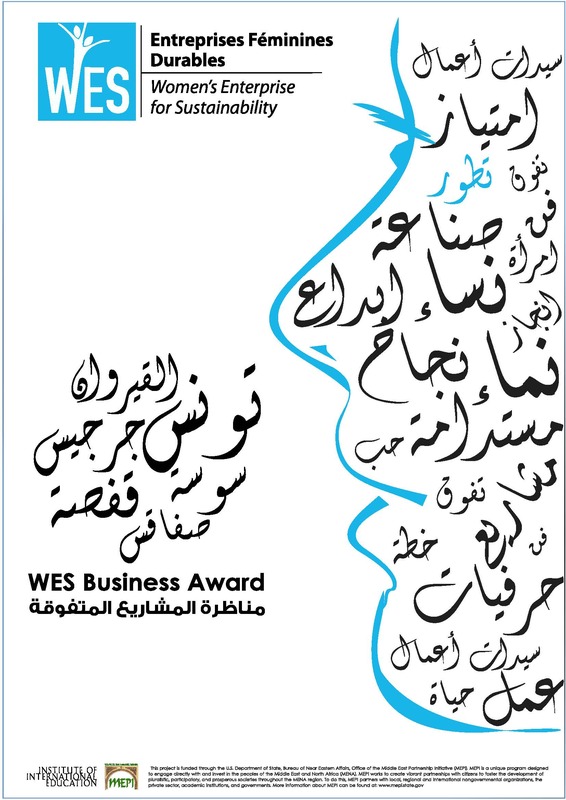 Arij participated in the WES business award with a lot of self-confidence. The award will help her to move to a new space and procure raw materials. Saida Fattouch, a WES Sousse graduate, is preparing to launch her new entertainment business. She plans to market her services to working moms who are not satisfied with the school clubs. Her idea is to create a space for kids with different kinds of clubs and workshops such as jewelry making, bio cosmetics, cooking, floral art, and painting. “Everybody needs a pillow, but we are going to offer a special one,” said Rim Ghzayel, a WES Sousse graduate before launching her new product called Pillow anti mite. The product will be unique in Tunisia since it offers a very nice design, soft or firm options, anti-heat and antiperspirant. The economic environment in Tunisia is growing. For this reason, Amira Cherif started her new business called “LET’S FLY,” an agency specializing in web design and software development. The business provides online multimedia solutions for businesses and individuals. WES a le plaisir de vous annoncer la liste des 36 lauréates du troisième tour du Prix WES de l’Entreprise Féminine. Les gagnantes sont des femmes entrepreneures émergeantes ou déjà établies ayant bénéficié des cours de formation et de coaching offerts dans 12 Centres WES pour le développement d’entreprises féminines à travers la Tunisie. Chaque gagnante a reçu des fonds d’amorçage pour l’aider à lancer ou développer son entreprise. Le rêve de Najoua Trabelsi est d’ouvrir un restaurant français au centre-ville de la ville du Kef surtout que la culture tunisienne est fortement enracinée dans les traditions françaises. Elle est une femme active, motivée et patiente. Le Centre WES a offert son soutien à Najoua à travers la formation en Entrepreneuriat, Leadership et Éducation financière. Le Prix WES lui permettra d’ouvrir son nouveau restaurant. Amira Abidi, 32 ans, est diplômée en gestion de la documentation et archives de l’Institut des sciences. Le rêve d’Amira est de devenir indépendante. Elle a donc décidé de lancer sa propre entreprise. Son entreprise, Café Abidi, offre un espace où les clients peuvent se détendre et lire les journaux et les magazines. L’espace offre un environnement agréable dans lequel les visiteurs peuvent se rencontrer, discuter et se détendre tout en profitant de la bonne nourriture et des boissons délicieuses. Amira a participé à la formation en Entrepreneuriat organisée par le Centre WES de l’association Horizons Kef, où elle a développé son plan d’affaires. Amira utilisera les fonds du Prix WES de l’Entreprise Féminine pour décorer l’espace et créer un nouveau site Web. Wafa Messaoudi a lancé son entreprise afin de devenir plus active dans sa communauté. Avec le soutien de WES, Wafa a préparé son plan d’affaires pour une garderie au cours de la formation en Entrepreneuriat au Centre WES Horizons. WAFA a constaté que la demande des services de garde dans sa région natale du Kef par les parents qui doivent travailler ne cessent d’augmenter. Son activité lui permet maintenant d’interagir régulièrement avec les gens. « Garderie les abeilles » offrira des services de qualité qui visent à approfondir la compréhension des enfants des traditions culturelles tunisiennes. Cette entreprise (garderie) aura comme cible les familles ayant un des deux parents employé et l’autre à la recherche d’un emploi. Torkia Ben Mehrez a 33 ans et a un doctorat en biologie. Torkia est en train de lancer une entreprise de produits agricoles spécialisée dans la transformation de la courge musquée, qui représente un domaine très spécifique des produits agricoles de Kalaat el Andalus à Tunis, en confiture et jus et la transformation des graines de citrouille en huile. Torkia souhaite atteindre son objectif de générer un total de 1750TND par jour dans les prochaines années. Elle utilisera le Prix WES pour acheter des matières premières pour la prochaine saison. L’entreprise de Houda Rhibi a commencé avec un rêve d’enfance. Ayant grandi avec un intérêt pour la mode, quand elle est devenue adulte, Houda a étudié la mode et le design pour trois ans. Par la suite, elle a fait une formation axée sur la création de modèles en utilisant un logiciel. Houda a également participé au programme d’entrepreneuriat au Centre WES de TAMSS. Elle a lancé une nouvelle activité de production et location des robes de femmes. Depuis le lancement de son entreprise, elle a déménagé dans un nouvel espace, qui a considérablement augmenté le nombre de clients. Il y’a quelques années, Mouna Klai a lancé une petite entreprise de fabrication de robes à domicile. Elle a reçu un petit prêt d’une ONG de microcrédit à Tunis pour développer son activité. Pour améliorer sa connaissance du monde des affaires, Mouna a contacté le Centre WES de TAMSS où elle a reçu une formation en Entreprenariat par des formateurs professionnels. Après la formation, elle a préparé son plan d’affaires et a changé ses stratégies de marketing et de communication. Ces changements ont conduit à des résultats impressionnants : elle a réussi à augmenter son chiffre d’affaires et le nombre de ses clients. Prix WES de l’Entreprise Féminine l’aidera à acheter de nouveaux équipements afin de satisfaire les demandes accrues. L’objectif de Hanen est de créer un centre éducatif qui propose des leçons privées aux élèves de 6 à 18 ans pour améliorer leurs compétences. Le centre offrira des services supplémentaires comme les leçons de théâtre, musique et natation. Le prix sera utilisé pour soutenir le lancement de son entreprise. « [Ceci est] le destin dont je rêvais », a déclaré Asma Hnid. Sa passion d’enfance l’a guidée à une formation en pâtisserie qui a duré un an. Pendant ce temps, elle a amélioré ce qu’elle a déjà appris. Le soutien de sa mère a également lui a permis de réaliser son rêve. Elle a commencé à travailler dans l’atelier de production de différents types de pâte appartenant à sa mère. Ce qui rend le produit d’Asma différent est la haute qualité des matières premières qu’elle utilise et le service après-vente qu’elle offre : Asma appelle ses clients pour vérifier s’ils sont satisfaits de leurs achats. Asma utilisera ce prix pour acheter des matières premières pour son entreprise. Mahjouba Bourguiba est eu son diplôme WES de l’ADDCI. Elle a reçu une formation en Entrepreneuriat, Leadership et Éducation financière. En tant que veuve de Zarzis, elle cherchait un moyen de subvenir à ses besoins. Elle a lancé son entreprise de création et vente de vêtements traditionnels pour les femmes. Mahjouba veut utiliser le Prix WES pour développer son activité afin d’atteindre un plus grand nombre de clients. Elle louera un nouvel espace dans la zone touristique afin d’attirer de nouveaux clients. Nabila Khadi est titulaire d’un diplôme universitaire en droit. Son père est agriculteur. Elle a décidé changer sa vocation et devenir femme entrepreneure. Elle produit du café à partir des dates. L’idée de Nabila est innovante car elle veut produire de la matière première pour l’industrie du café. Le prix lui permettra d’acheter l’emballage. Fatma Ghrissi est une femme entrepreneure de 26 ans qui a lancé une entreprise de production de fourrage de palmiers. Son projet permettra de résoudre le problème du manque de fourrage dans la région. L’entreprise va également aider à améliorer la perte de composants de palmiers. Fatma utilisera ce prix pour acheter un camion pour recueillir des matières premières. Amel, qui vit dans une région rurale, s’est lancée dans l’élevage des oies avec sa mère. Amel a reçu une formation en Entrepreneuriat au Centre WES de l’UNFT Kairouan. Elle veut lancer son entreprise d’élevage et de commercialisation des oies en Tunisie. Elle utilisera ce prix pour acheter des oies dans la saison appropriée pour produire des œufs. Raida Bouaicha a lancé son entreprise avec des ressources limitées en mars 2015. Pour son entreprise, elle prépare du beurre à partir des fruits secs qui sera distribué aux petits fournisseurs et aux supermarchés. Elle explique que ce type de beurre, qui est destiné aux bébés, personnes âgées et adultes, est plus sain que le beurre classique. Raida utilisera ce prix pour développer son atelier en procurant un dispositif de mesure/ contrôle de produit et un mélangeur. Monia Mechim est une jeune diplômée universitaire. Elle est en train de développer une entreprise de production de compost organique à travers la valorisation des déchets agricoles. L’entreprise aura un impact positif sur l’environnement car elle va réutiliser les déchets polluant. Fedia, diplômée du Centre WES de l’association ACG, est en train de lancer sa nouvelle société services à domicile qui comprendra le ménage, le jardinage, la sécurité et l’aide à domicile. La valeur ajoutée de son activité est l’utilisation des nouvelles technologies, y compris l’équipement de nettoyage à vapeur. L’entreprise propose également d’autres services tels que l’organisation d’événements privés. Le prix WES sera utilisé pour acheter des équipements de bureau et de lancer un site Web. Haifa Ben Nasra est diplômée en Entrepreneuriat et Leadership du Centre WES de l’ADG. Elle est en train de lancer son entreprise d’extraction de gaz à partir des déchets de palmier. Le client principal de Haïfa sera la STEG (Société Tunisienne de l’Electricité et du Gaz). Le prix WES servira à couvrir les frais de transport des déchets de palme lors du démarrage de son activité. Fathia a de nombreuses années d’expérience dans les produits artisanaux. Fathia a participé à la formation en Entreprenariat dans un des centres WES à Gafsa afin d’en apprendre plus sur comment devenir un entrepreneur prospère. Le prix WES lui permettra d’étendre ses activités et de se procurer les matières premières. Saloua a de nombreuses années d’expérience dans la production de l’artisanat. Saloua a participé à la formation en Entreprenariat dans un des centres WES à Gafsa afin d’en apprendre plus sur comment devenir un entrepreneur prospère. Le prix WES lui permettra d’étendre ses activités et de se procurer les matières premières. Wassila Balti est diplômée du Centre WES l’AJD Béja en Entrepreneuriat. Wassila possède un diplôme en informatique, mais elle ne pouvait pas trouver un emploi. Elle a lancé sa propre entreprise depuis des années : elle fait des dessins sur les différents types de bijoux pour femmes. Saoussan a beaucoup d’expérience dans la production de pâtisseries à Beja. Ses produits sont uniques. Elle veut lancer un centre de formation en pâtisserie. Elle utilisera ce prix pour louer un espace pour le centre et de lancer une campagne de communication. Faten est une mère de deux enfants. Elle dirige une entreprise qui fait des robes pour sa communauté. Elle explique que ses voisins aiment beaucoup ses produits et donc souhaite développer son entreprise. Grâce au prix, elle pourra acheter une nouvelle machine afin de pouvoir satisfaire les demandes qui ne cesse d’augmenter. L’idée de Soukayna est de créer un réseau de femmes qui travaillent et d’autres qui sont femmes au foyer. Ce réseau offrira des emplois pour les femmes au chômage. Ceci est une nécessité pour les femmes de sa communauté et servira comme une bonne occasion pour échanger des idées. Soukayna va développer une base de données de femmes et d’emplois et leur offrir des services. Le prix WES va lui permettre de commencer à mettre en œuvre son idée. Awatef est une femme entrepreneure à domicile qui fait de délicieuses pâtisseries qu’elle commercialise au sein de sa communauté. Récemment, elle a participé à une formation en Entrepreneuriat organisé par le Centre WES de Bizerte. Pendant la formation, Awatef a développé son plan d’affaires et a maintenant une idée claire sur la façon de mieux approcher son entreprise. Awatef envisage de gagner 5,000 TND cette année et 7,000 TND de l’année suivante. Pour atteindre cet objectif, elle va utiliser les fonds du prix pour se procurer des matières premières et des équipements. Aicha Jelassi a lancé son entreprise à domicile il y’a plusieurs années. Elle fabrique des produits artisanaux pour la décoration. Son objectif est d’avoir un espace plus grand où elle peut afficher ses produits. Le prix sera utilisé pour louer un espace et recruter deux femmes pour l’aider au cours de cet été avec la forte demande qu’elle a pour ses produits. La passion de Mejda lui a permis de créer son entreprise, ETS – Electronic & Technology Solutions en 2013. Elle fait de la conception et la production de composants électriques pour les bâtiments. Mejda était intéressé par la formation en Leadership offerte par le Centre WES d’Optima. Après la formation, Mejda était en mesure de présenter des propositions au cours des réunions. Le prix l’aidera à lancer une campagne de publicité. Mouna Abid travaille dans la production artisanat décorative des maisons inspirée du patrimoine tunisien après avoir appris ce métier lors de ses études. Les créations de Mouna sont uniques et novatrices. Le prix WES lui permettra de promouvoir ses produits et faire de la publicité. Kalthoum Triki fait de la décoration intérieure. Kalthoum a beaucoup de problèmes avec la commercialisation de ses produits, elle a participé aux formations en Entreprenariat et Médias sociaux du Centre WES d’Optima. Après ces formations, elle a réussi à augmenter sa clientèle. Kalthoum utilisera ce prix pour se procurer les matières premières pour répondre aux demandes en augmentation. Fatma Rhouma, 40 ans, est une mère de trois enfants qui dirige une petite entreprise à domicile de fabrication et vente d’épices. L’esprit entrepreneurial de Fatma a émergé à 12 ans quand elle aidait sa mère à travailler pour la famille en vendant des produits faits maison. Le rêve de Fatma est de développer son activité d’épices et d’intégrer le secteur formel, ce qui lui permettra d’exporter ses produits. Les capacités artistiques naturelles de Manel se sont transformées en une entreprise en pleine croissance. Après qu’elle a décidé de prendre une pause de ses études, Manel a commencé à prendre son passe-temps du dessin plus au sérieux. Elle travaille maintenant comme femme entrepreneure dans la création et la vente de la poterie, des dessins et des tableaux. Manel utilisera le prix dans le développement de son activité en achetant plus de matériaux et dans la rénovation de son espace de travail. Soumaya Rhoumi est une jeune femme de 23 ans pleine d’ambitions et de talents. Elle a déjà cinq ans d’expérience professionnelle dans l’industrie de la pâtisserie. Avec cette expérience, elle est prête à lancer sa propre marque de pâtisseries tunisiennes. Le prix lui donnera les ressources dont elle a besoin pour élargir son entreprise et vendre des délicieuses friandises à ses communautés avoisinantes. Fathia Arfaoui s’occupe d’une famille de trois enfants. Elle a participé à plusieurs formations en Entrepreneuriat, où elle a développé ses compétences entrepreneuriales. Fathia a eu la chance de participer aussi à de nombreuses expositions à Tozeur, sa région natale. Elle a lancé sa propre entreprise de production de confiture de datte, un produit avec une forte demande en Tunisie et à l’étranger. Fathia utilisera ce prix pour acheter un four et des matières premières. Henda est une femme de 50 ans et fière de son diplôme qu’elle a eu du Centre WES de Tozeur où elle a reçu une formation en Entrepreneuriat. Son rêve était d’avoir une vie tranquille avec sa famille. En 2015, sa vie a changé quand elle a décidé de lancer sa propre entreprise. Tout d’abord, elle a participé à plusieurs formations et ensuite développé son plan d’affaires avec le soutien du Centre WES. Henda a des différents produits à base de Cyperus laevigatus, une plante locale. Elle va utiliser les fonds du prix pour se procurer une grande quantité de matières premières surtout que cette plante est disponible uniquement pendant les mois d’été. À l’âge de 18 ans, Arij Omrane sert déjà de modèle de femme d’affaire dans sa communauté. Elle a quitté l’école à l’âge de 11 afin d’aider sa mère à faire des pâtisseries à la maison. Arij vint au Centre WES de Tozeur où elle se trouva prise en charge par les formateurs. Elle a appris à travers les différents modules WES comment lancer sa propre entreprise de vente de pâtisseries. Arij a participé au Prix WES de l’Entreprise Féminine avec beaucoup de confiance en soi. Le prix lui permettra de déménager à un nouvel espace et de se procurer les matières premières. Saida Fattouch, diplômée WES de Sousse, se prépare à lancer sa nouvelle entreprise de divertissement. Elle prévoit de commercialiser ses services aux femmes employées qui ne disposent pas de suffisamment de temps pour divertir leurs enfants et qui ne sont pas satisfaites des services des clubs scolaires. Son idée est de créer un espace pour les enfants avec différents types de clubs et d’ateliers tels que la fabrication de bijoux et des produits cosmétiques bio, la cuisine, l’art floral et la peinture. « Tout le monde a besoin d’un oreiller, mais nous allons leur offrir un oreiller spécial », a déclaré Rim Ghzayel, diplômée WES de Sousse avant de lancer son nouveau produit qu’elle a appelé « oreiller anti- acariens ». Le produit – ayant un design très agréable et offrant des options « dur ou mous », « anti-chaleur » et « anti-transpirant » – sera unique en Tunisie. L’environnement économique en Tunisie est en pleine croissance. Pour cette raison, Amira Cherif a lancé sa nouvelle entreprise appelée “LET’S FLY», une agence spécialisée dans la conception web et le développement de logiciels. L’entreprise fournit des solutions en ligne pour les sociétés et les particuliers qui choisissent d’entrer dans le monde du multimédia et e -communication. Guest post by Dalel Krichen, Director of WES Optima Syphax Center in Sfax. 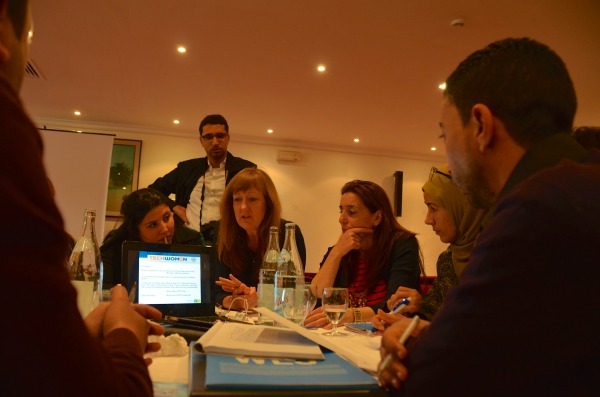 This post was written in response to a World Cafe breakout session she attended as a part of the TechWomen Delegation Trip to Tunisia in March 2015. Delegation members met with WES trainers during the Social Media for Women Entrepreneurs Training of Trainers (TOT). Since my tender age, I was fascinated by bridges, highways and skyscrapers. My dream was to design, construct and operate infrastructures and buildings. As I grew up, this dream became a goal. My favorite subjects were mathematics and physics and I wanted to use what I learned to solve real world problems. Therefore, I decided to become a civil engineer. No need to say that construction in Tunisia was a male-dominated industry and I did not get much support from my friends who tried to dissuade me away from the field and talked about the barriers tech women faced! When I was asked to join the WES team I was thrilled. The program puts a great emphasis on specialties related to new technologies needed in the job market. As we were urged to make a special effort to involve women in technology, I was very excited to fulfill a dear dream –increase the visibility of tech women by helping them create their own enterprises and thus promote female role models in the country. We had the pleasure to host the delegation of TechWomen. They arrived as we were undertaking a TOT about social media which unveiled to us the power of networking which allows women entrepreneurs to create more opportunities and boost their talents in a way sometimes never expected. So all of us were in the mood to really acknowledge technology and we were looking forward to the breakout discussions with the members of the guest group. As Samia introduced the exchange program and its objectives, I was very impressed by the goals and the opportunities offered to women. I found the professional mentorship, which is part of the program,very inspiring because it offers a valuable opportunity to support women in STEM fields. In many countries, talents are not encouraged and the lack of women mentors in technical fields makes it difficult for emerging tech women to promote themselves. The breakout discussion about e-commerce, social media, innovation and risk taking for the developing of businesses using technology and marketing engaged us in an open discussion where we shared experiences, best practices and view points.We loved having the perspective and input of the mentors and we thank them for their guidance and advice. It is heartening to notice that even though women in the delegation are from different parts of the world with different backgrounds and walks of life, they all share the same passion for technology and for the need to empower women in STEM fields. I couldn’t help noticing the spark in their eyes when they spoke about their careers which made me relate to them on a personal level. To conclude, I would like to say that Tunisia is in need of more scientists and engineers. The TechWomen visit was memorable because it raised our awareness, as a WES team, for the need to empower tech women start-ups. It was also a good opportunity for brainstorming to find new ways and initiatives to get more women involved in successful tech projects. Dalel Krichen is a civil engineer and graduated from Washington University in Saint Louis. She worked as a head of the Department of Civil Building in the Ministry of Equipment and Habitat in Sfax before being the general manager of a construction company. 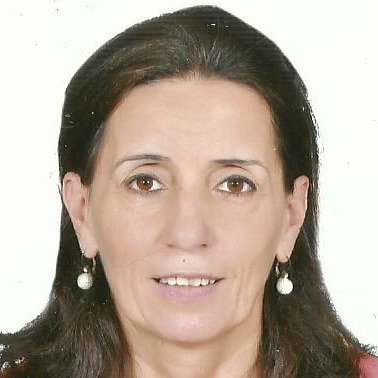 She is also a former Member of Parliament, former general secretary of the Board of Tunisian Engineers in Sfax and Deputy Mayor in charge of the Commission of Infrastructure, Management and Construction in the city of Sfax. Dalel has championed the cause of women’s empowerment and political participation. She works to integrate gender equality in institutions, programs and laws. She set various programs to encourage female students to choose technical fields and help young women engineers to get jobs and succeed in their careers. Dalel is also the Director of WES Optima Syphax Center, where she provides trainings in leadership, home-based business, entrepreneurship and e-commerce . She works closely with women to help them achieve economic self-sufficiency. Dalel is married and the mother of two daughters. Meet Hana Chaari, WES Business Award winner, from the Optima Syphax WES Center in Sfax. Watch the video to learn more about Hana and how she plans to use her WES Business Award. 2nd Round of WES Business Award Winners Announced! WES is pleased to announce the 21 Tunisian women entrepreneurs who will receive the second round of WES Business Awards. The winners are emerging and established women entrepreneurs who have benefited from training and coaching at seven WES Centers for Women’s Business Development across Tunisia, including Gafsa, Kairouan, Sfax, Sousse, Tunis and Zarzis. The winners will receive seed funds to help them launch or expand businesses. Stay tuned for photos of the winners in future posts and on Facebook. Dalel is a biological engineer whose creativity and desire to use her life sciences knowledge to help others motivated her to become an entrepreneur. She started a business, called Lab Complement, that specializes in the sale of high-value extracts from organic material for use in pharmaceutical, cosmetic and food products. The WES Business Award will help her to build a website and market her first product, called “Tunioleuropein,” a therapeutic element extracted from the leaves of olive trees. After her university studies, and with the encouragement of her family, Nihel started a business producing essential oils, floral waters and massage oils for export. Her products are 100% natural and have both cosmetic and medical benefits. Nihel plans to use the WES Business Award funds to buy raw material in bulk for her products. Noura had the forward-thinking idea to launch a communications and marketing consultancy, a nascent yet growing field in Tunisia. Noura plans to use the award funds to expand her business by diversifying the services offered. With extensive experience in aesthetics, Auiti decided that it was time to be her own boss and founded a business providing a variety of services that promote personal well-being. With the WES Business Award, she plans to expand her business by offering new services and hiring several employees. Nadia has 15 years of experience designing and making wedding dresses, evening gowns and children’s clothing. With the award, Nadia will increase her stock of raw material to satisfy the increased demand for her summer collection. With a technical diploma in electrical engineering and professional experience in the field of new technologies, Moudifa recently launched an information technology services business. Moudifa will use the award funds to purchase equipment for her new office space. Torkia is a skilled weaver and launched a business making decorative wall pieces over 10 years ago. With the goal of reaching an international audience, Torkia plans to use the WES Business Award to expand her business through export and offer a wider selection of products. Nedia learned the art of margoum, a traditional carpet from the region of Gafsa, from family members at a young age. She now has 22 years of experience in this handicraft and owns her own business. Nedia will use the award money to buy new equipment and raw material. Dahbia owns a business making carpets and drapes and building furniture. The WES Business Award will enable her to buy raw material in bulk. Basma earned a diploma in textiles and has 10 years of professional experience in the clothing industry. Two months ago, a charity gave her a sewing machine to start a home-based business. The WES Business Award will enable her to buy another sewing machine and raw material to expand her business. Toffaha plans to use her 17 years of experience in the henna industry to launch her own business. Toffaha will use the award funds to study new henna techniques and buy material necessary to launch her business. For the past five years, Sarra has been making traditional Tunisian pastries from her home. With a recent increase in demand, her business now requires larger quantities of bulk ingredients. She is thankful that the WES Business Award will allow her to buy these ingredients and reduce her per unit cost. Hela has a university degree in business and recently launched an interior design company. Hela’s goal is to improve her production, diversify her product line and move her business to the formal sector. She believes that the recognition and funds from the WES Business Award will allow her to launch a marketing campaign and expand her product line as she works towards these larger goals. Amel studied fine arts in university and launched her ceramics business, Céramista, over a year ago. With the funds from the award, Amel wants to further expand the visibility of her products by developing a new communications strategy and participating in local trade shows. With extensive experience providing English language training to diverse audiences, Hana wants to launch a training center. Hana has already received a loan from the Tunisian Solidarity Bank to buy the necessary equipment to start her business and plans to use the award funds to launch a marketing campaign. Afef’s dream was to use her university degree in biology and her training in biotechnology to start a business providing in-home medical services. She launched her business in November 2014 and plans to use the award funds to expand her client base. Saoussan wants to use her professional and leadership skills to launch a Senior Center that will offer opportunities for seniors to engage in society and provide services that promote active lifestyles. With the award funds, she will purchase the necessary equipment to launch the center. Latifa has more than six years of experience designing and making wedding dresses, and has a loyal customer base. For many years, Latifa has wanted to launch a business in this field, but lacked the finances to support such an endeavor. Thanks to the WES Business Award, her dream will become a reality. Chadleya started to make toys for her children when they were young using repurposed wood. This hobby enabled her to both provide fun and safe toys for her children during difficult financial times and protect the environment by using material that would otherwise have gone to waste. She has since dreamed of opening her own toy company and has conducted over three years of market research on the toy industry in Tunisia. Since she collects the material from many different sources, each toy she makes has its own story; hence, the name of her company, Toy Story. The award funds will partly finance a marketing campaign and help her to create personalized packaging. Awatef learned the art of traditional Tunisian carpet-making from her family members when she was young and further developed her competencies in the textile sector under their mentorship. In her most recent job at a retail clothing store, Awatef gained negotiation, sales and acquisition skills. With these varied skills and expertise in sewing and fashion, she is now ready to launch her own haute couture business. The funds from the award will help her to work with a variety of distributers and participate in trade shows. Chedlya recently completed a fashion course with the greater goal of opening a clothing business for young girls. Chedlya understands the strong buying power of families in Kairouan and believes this market has yet to be tapped. She plans to use the award to buy raw material and expand her product line. Lauréates de la 2nde Série du Business Award WES Annoncées ! Le Programme WES a le plaisir d’annoncer les 21 femmes entrepreneurs Tunisiennes qui recevront la deuxième série de Business Awards WES. Les lauréates sont des femmes entrepreneurs émergentes et établies qui ont bénéficié d’une formation dans huit centres WES à travers la Tunisie. Elles recevront de petites subventions pour les aider à lancer ou développer leurs entreprises. Les lauréates sont comprises d’entrepreneurs qui ont été formees aux Centres WES à Gafsa, Kairouan, Sfax, Sousse, Tunis, et Zarzis. Ne ratez pas les photos des lauréates sur Facebook. Dalel est un ingénieur en Génie Biologique. Sa créativité et son désir d’utiliser son savoir pour le bien de la société, l’ont motivé à devenir une entrepreneure. Elle a créé sa propre société du nom de Lab Complement qui est spécialisée dans la vente de molécules à haute valeur ajoutée pour usage pharmaceutique, alimentaire et cosmétique. Les fonds du prix WES l’aideront à créer un site internet et à promouvoir son premier produit « Tunioleuropein », une molécule thérapeutique obtenue suite à une extraction liquide à partir de feuilles d’olivier. Suite à ses études et avec l’encouragement de sa famille, Nihel a décidé de travailler à son compte et devenir une entrepreneure. Nihel utilise sa passion pour la nature à travers son entreprise qui produit des huiles essentielles, eaux florales et huiles de massage. Ses produits, 100% naturels, ont un usage cosmétique et pharmaceutique. Avec les fonds du prix WES, elle compte acheter des matières premières en gros. Les produits créés sont destinés à l’exportation. Noura avait une vision pour un projet et voulait avoir sa propre agence de conseil en communication et publicité donc elle établit une entreprise à domicile, un concept qui n’est pas vraiment développé et reconnu en Tunisie. Noura souhaite élargir son marché et va intégrer une option pour un design personnalisé avec les fonds du prix WES. Avec à son extensive expérience dans le domaine esthétique, Auiti a décidé qu’il était temps de se mettre à son compte et devenir une entrepreneure indépendante. Avec les fonds WES, elle souhaite élargir son entreprise qui se concentre sur le bien-être à travers divers services esthétiques. De plus, elle désire aider sa région économiquement en employant des chômeurs. Nadia a 15 ans d’expérience dans le domaine de création de robes de mariées, soirées et vêtements pour enfants. En 2006, elle a organisé un défilé de mode qui a été télévisé. Avec les fonds WES, elle va accroitre son stock en matière première afin de répondre à la demande pour tenues d’été. Avec un diplôme de technicienne en électricité et une expérience dans le domaine des nouvelles technologies, Moufida a décidé de conquérir le domaine des affaires et lancer son projet de services informatiques et bureautiques. Pour consolider son projet elle a besoin de se procurer deux ordinateurs, deux bureaux et un scanner. Les fonds WES lui serviront pour financer une partie de ses achats. Torkia a lancé son entreprise il y a plus de 10 ans maintenant et souhaite s’établir à l’échelle nationale et internationale. Elle se spécialise dans le tissage de pièces murales décoratives. Avec le prix WES, elle pourra élargir son entreprise et offrir un plus grand nombre de sélection pour ses murales. Nedia a appris le métier de tissage de Margoum, un tapis traditionnel de Gafsa, à un très jeune âge. Avec 22 ans d’expérience dans ce domaine, elle compte élargir son commerce et utiliser le prix WES afin d’acheter plus d’équipements et de matière première. Dahbia a plus de 20 ans d’expérience dans la création de Margoum, un tapis traditionnel. En plus des Margoums, elle a aussi commencé à fabriquer des meubles et créer des rideaux. Le prix WES lui permettra d’acheter ses matières premières en gros. En plus d’un diplôme professionnel en textile, Basma à 10 ans d’expérience dans le domaine de la confection. Il y a 2 mois une organisation de charité lui a offert une machine à coudre pour démarrer son projet à domicile. Le prix WES sera une opportunité pour acheter une autre machine et de la matière première. Toffaha va utiliser ses 17 ans d’expérience dans le domaine de tatouages pour lancer son propre projet de production d’articles de tatouage. Le prix WES va lui servir pour acheter de la matière première et ajouter des nouvelles techniques afin d’atteindre un plus grand public. Depuis 5 ans Sarra produit à domicile des pâtisseries traditionnelles comme la “Bessisa Tunisienne”. Grâce à une demande croissante, Sarra a besoin d’acheter plus de matière première. Le prix WES, lui permettra d’acheter cela en large quantité ce qui réduira le coût par unité. Hela est diplômée en commerce et possède sa propre entreprise qui e spécialise dans la décoration. Après une période de travail dans le secteur informel, Hela cherche à restructurer son projet. Son objectif est d’améliorer sa production et diversifier les produits pour toucher un plus grand public. Le prix WES lui aidera pour lancer une campagne publicitaire, élargir sa gamme de produits. Après un parcours universitaire, Amel a obtenu son master en beaux-arts. Il y a un an, elle démarrait l’aventure Céramista dans la région de Sfax. Son rêve : de faire du coffret cadeau en céramique une véritable création. Amel cherche à promouvoir son produit à travers les réseaux sociaux et en participants aux foires à l’échelle locale. Les fonds WES lui permettront de développer son activité à travers l’achat de matière première pour pouvoir satisfaire une demande croissante. Avec une longue expérience dans le domaine de la formation en langue anglaise, Hana veut lancer un centre de formation dans la région de Sfax. Elle a déjà décroché un crédit de la Banque Tunisienne de Solidarité (BTS) afin d’acheter l’équipement nécessaire pour commencer son entreprise. Les fonds WES lui serviront à se faire connaitre au public à travers une campagne publicitaire. A travers son entreprise, Afef souhaite exploiter ses connaissances en biologie et biotechnologie tout en aidant ses clients grâce à son service médical à domicile. Les fonds WES l’aideront à lancer son entreprise et à étendre sa clientèle. Saoussan veut utiliser ses compétences professionnelles et de leardership pour créer un centre pour personnes âgées. Ce centre a pour but de promouvoir l’intégration des personnes âgées dans la communauté et avoir une vie active. Le centre, ouvert la journée, fournira des services santé, sociaux et de divertissement. Avec les fonds du prix WES, elle pourra lancer son centre et acheter l’équipement nécessaire à son ouverture. Avec plus de 6 ans d’expérience dans la confection de robe de mariées et une bonne base clientèle, Latifa est confidente que son entreprise sera prospère. Son seul obstacle est financier mais grâce aux fonds du prix WES, elle sera capable d’acheter le matériel nécessaire pour continuer sa passion. Animée par sa passion pour la nature, Chadleya a pu surmonter les difficultés qu’elle a rencontrées depuis son enfance. Elle a commencé à fabriquer les premiers jouets pour ses enfants en utilisant les déchets du bois ; une activité à travers laquelle elle a trouvé le plaisir de préserver la nature tout en appliquant le proverbe “rien ne se perd, tout se transforme”. Afin de concrétiser son rêve de lancer son propre projet de fabrication de jouets en bois, Chadleya a fait trois ans de recherche et de travail. Pendant ce temps, elle a pu développer ses compétences et inventer des jouets utiles qui impliquent l’enfant dans son environnement. Tout jouet qu’elle produit raconte une histoire d’où le nom de son projet Toy Story. Les fonds WES l’aideront à financer une partie de sa compagne marketing et à créer un emballage personnalisé portant le logo et informations sur sa société. Awatef a commencé sa carrière par la fabrication de tapis traditionnels avec sa famille. Pendant ce temps, elle a pu développer ses compétences dans le domaine du textile. Sa dernière expérience était dans une boutique de prêt à porter où elle a appris les techniques de négociation, d’achat et de vente. Awatef a une formation en modélisme et confection et veut lancer un projet en haute couture. Les fonds WES lui seront utiles pour diversifier ses circuits de distributions et participer à des foires et des salons d’expositions. Chadliya a récemment suivi une formation en modélisme pour réaliser son rêve de devenir une femme d’affaire dans le domaine de la couture. Son projet “chadou pour les petites filles” sera unique de son genre à Kairouan. Elle veut créer des modèles de vêtements originaux pour filles qui prennent en considération le pouvoir d’achat des familles. Le prix WES va servir à lancer ses nouveaux produits. L’Entreprise Feminines Durables/Women’s Enterprise for Sustainability (WES), est heureuse d’annoncer le lancement de cinq nouveaux Centres WES pour le développement des entreprises féminines à Béja, Bizerte, Le Kef, Tozeur et Tataouine! Avec cette expansion, WES prend désormais en charge des femmes entrepreneures à travers 13 centres dans 11 régions de la Tunisie. L’expansion a été annoncée aujourd’hui lors une conférence de presse à Tunis. L’équipe WES et ses partenaires ont eu le privilège d’accueillir des invités de marque: Mr. Richard Michaels, Conseiller Politique et Economique à l’Ambassade des Etats-Unis d’Amérique en Tunisie ; et Mme Neila Chaabane, Secrétaire d’Etat pour la Femme et la Famille. 21 janvier 2015, Tunis — L’Entreprises féminines durables/ Women’s Enterprise for Sustainability (WES), grâce au financement généreux du gouvernement des Etats Unis d’Amérique annonce le lancement de cinq nouveaux Centres WES pour le développement des entreprises féminines à Béja, Bizerte, Le Kef, Tozeur et Tataouine. Avec son expansion pour inclure cinq nouvelles régions, le programme prend désormais en charge des femmes entrepreneures à travers 13 centres dans 11 régions de la Tunisie. Le programme de l’Entreprises féminines durables offre de la formation, des programmes d’encadrement et du soutien financier aux organisations partenaires leur permettant de créer de nouveaux centres pour le développement des entreprises féminines en utilisant un modèle d’entreprise sociale. En imposant des frais nominaux pour la formation et les services, les organisations partenaires récupèrent une partie de leurs coûts d’exploitation, augmentent leur propre durabilité et étendent leur portée tout en soutenant les femmes entrepreneures dans leurs communautés. « Ce qui est vraiment important », explique Afef Zaddem, Directeur du Centre WES à l’Union nationale des femmes tunisiennes, Kairouan, « c’est que le programme de l’Entreprise féminine durable renforce nos capacités. Il est en train de transformer nos ONG de bénévoles en des organisations professionnelles ». Les Centres WES offrent aux femmes entrepreneures en devenir et chevronnées et celles qui aspirent à le devenir des formations et du coaching sur le développement d’entreprise à un prix abordable. Les centres facilitent également l’accès à des experts, des mentors et des services financiers qui soutiennent les femmes entrepreneures dans le lancement et le développement de leurs propres entreprises. Ils offrent des services de formation et de soutien aux entreprises à différents niveaux – élémentaire, intermédiaire et avancé – pour mieux répondre aux besoins des femmes de différents milieux scolaires. « Dans un tel moment délicat de l’histoire tunisienne, nous voulons que notre présent et avenir soient façonnés par les hommes et les femmes qui génèrent de la richesse et créent de l’emplois. WES encourage les femmes de tous les milieux à rêver et réaliser leurs rêves. En créant des opportunités économiques pour les femmes, nous contribuons aussi à l’établissement de bases d’une société stable et prospère », affirme Chéma Gargouri, Pays Directeur WES. « Le programme WES encourage l’innovation et l’entrepreneuriat à la fois au niveau individuel et organisationnel. En soutenant des organisations partenaires locales à exploiter des centres comme des entreprises sociales, l’objectif est que les centres continuent à soutenir les femmes entrepreneures longtemps après la fin du programme », ajoute Julia Hendrickson, Directeur de programme, Entreprise féminine durable, Institute of International Education (IIE). Le programme de l’Entreprises féminines durables est financé par le Gouvernement des Etats Unis d’Amérique à travers l’Initiative de Partenariat avec le Moyen Orient du Département d’Etat américain. Cette initiative a été conçue par le Centre des initiatives de leadership féminin de l’Institut de l’Education Internationale (Institute of International Education) à San Francisco. Il est géré par une équipe à Tunis et à San Francisco et est mis en œuvre en collaboration avec 13 organisations de la société civile locale. Women’s Enterprise for Sustainability (WES) is thrilled to announce the launch of five new Centers for Women’s Business Development in Beja, Bizerte, El Kef, Touzeur and Tataouine! With this expansion, WES now supports women entrepreneurs through 13 Centers across 11 regions of Tunisia. The expansion was announced at a press conference today in Tunis. At the event, the WES team and partners were honored to be joined by distinguished guests Mr. Richard Michaels, Political/Economic Counselor, US Embassy in Tunisia; and Mrs. Neila Chaabane, Tunisia’s Secretary of State for Women and Families. Please look for upcoming posts about the new WES partners. January 21, 2015, Tunis — The Women’s Enterprise for Sustainability (WES), with generous funding from the United States Government, announces the launch of five new Centers for Women’s Business Development in Beja, Bizerte, El Kef, Touzeur and Tataouine. With the expansion of the program to five new regions, the program now supports women entrepreneurs through 13 Centers across 11 regions of Tunisia. The Women’s Enterprise for Sustainability program provides training, curricula and financial support to the partner organizations, enabling them to create new Centers for Women’s Business Development using a social enterprise model. By charging nominal fees for training and services, partner organizations recover some of their operating costs and increase their own sustainability and reach, while supporting women entrepreneurs in their communities. WES Centers provide aspiring, emerging and established women entrepreneurs affordable business development training and coaching. The Centers also facilitate access to experts, mentors and financial services that support women entrepreneurs to launch and grow businesses. They offer training and business support services at different levels – basic, intermediate and advanced – to best meet the needs of women with various educational backgrounds. “At such a critical time in Tunisian history, we want our present and future to be shaped by men and women who create wealth and jobs. WES encourages women from all backgrounds to dream, and to reach for their dreams. By creating economic opportunities for women, we are also helping to build the foundation for a stable and prosperous society” says Chema Gargouri, WES Country Director. “The WES program encourages innovation and entrepreneurialism at both the individual and organizational level. By supporting local partner organizations to operate Centers as social enterprises, the aim is for the Centers to continue supporting women entrepreneurs long after the program ends,” adds Julia Hendrickson, Program Director, Women’s Enterprise for Sustainability, Institute of International Education. The Women’s Enterprise for Sustainability program in Tunisia is funded by the U.S. Government through the U.S. Department of State’s Middle East Partnership Initiative. The initiative was designed by the Institute of International Education’s Center for Women’s Leadership Initiatives in San Francisco. It is managed by a team in Tunis and San Francisco, implemented in collaboration with 13 local civil society organizations. To learn more about WES, visit Facebook and Twitter. Look for the WES E-boutique on our new website at www.wesglobal.org coming March 2015. In preparation for the upcoming Financial Education Training of Trainers (TOT) next week in Tunis, the WES Financial Education Master Trainer, Tarek Lamouchi, reflects on what inspired him to enter this field and why financial education is important for women entrepreneurs. For over six years I worked at Enda Inter-Arabe, a microfinance institution that is active throughout Tunisia, and much of my work focused on supporting women entrepreneurs. While working closely with entrepreneurs, I’ve noticed there is a general lack of knowledge about financial management. More specifically, I consistently see women entrepreneurs who do not set clear and realistic financial goals or set aside money for emergency situations. They have big dreams and high hopes for themselves and their children; however lack sufficient training to separate their household and business expenses or save adequately to make their dreams a reality. Action Learning in which trainings are interactive and participants have the opportunity to apply the techniques and methods presented. This helps participants better understand and remember the tools and resources shared during the training. Building on the experience of the entrepreneur by creating an environment in which attendees have the opportunity to share their life experiences. My goal as a trainer is to build on the knowledge that already exists in the room. This creates a dynamic in which participants learn from one another, as well as the trainer, and are empowered by their knowledge and life experiences. Certainly financial education alone cannot solve all of the challenges that women entrepreneurs face, however it is a great framework in which to begin to successfully organize finances and operate successful businesses. Additional information about Tarek, and his professional experience and training can be found by visiting his LinkedIn page. En préparation pour la prochaine formation des formateurs (FDF) sur l’Education Financière qui pendra place à Tunis du 17 au 22 Janvier 2015, le formateur principal WES pour l’Education Financière, Tarek Lamouchi, partage ce qui l’a inspiré à entrer ce milieu et pourquoi il pense que l’éducation financière, particulièrement pour les femmes, est importante. J’ai travaillé pendant plus de six ans à Enda Inter-Arabe, une institution de micro-finance active un peu partout en Tunisie, et pendant cette période je travaillais beaucoup avec des femmes entrepreneures. Ce que j’ai remarqué en travaillant en étroite liaison avec les entrepreneures, c’est qu’elles ne savaient pas comment gérer leur argent. Ces femmes ont de grands rêves et de grands espoirs pour elles même et pour leurs enfants mais elles ne savent pas comment séparer les dépenses du ménage de celle de l’entreprise ni comment épargner pour rendre ces rêves réels. L’apprentissage par l’action, où les femmes micro-entrepreneures ne sont pas passives mais appliquent des techniques et des méthodes qu’elles voient au cours de la formation et donc apprennent et se rappellent exactement ce qu’elles ont appris. C’est une formation interactive pendant laquelle on ne s’ennuie pas. Se baser sur l’expérience des femmes entrepreneures: on oublie souvent que ces femmes, avec leurs expériences dans la vie ont énormément de connaissances et qu’elles ne sont pas conscientes de l’énorme savoir qu’elles ont. Un bon formateur est celui qui bâtit sur cette expérience pour offrir des nouvelles connaissances. Certes, l’éducation financière à elle seule ne peut pas régler tous les problèmes des femmes entrepreneures, mais elle leur est d’une grande utilité et d’un grand appui pour commencer à organiser leur argent et leurs vies différemment. Plus d’informations regardant Tarek et son expérience professionnelle peuvent être trouvées sur son profile LinkedIn.